Heat oven to 375 Degrees. 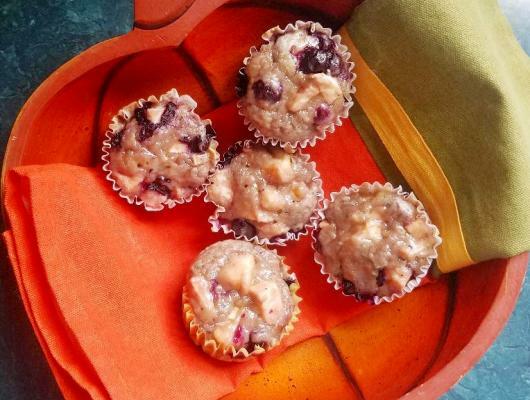 Grease a 12 muffin pan or line with cupcake liners and set aside. In a medium bowl, mix together the flour and baking powder. Set aside. Place cane and brown sugar in a large bowl. Add milk. Add egg and mix until smooth. Stir in melted butter. Mix well. Add flour and baking powder. Beat until smooth. Add to batter with frozen blueberries. 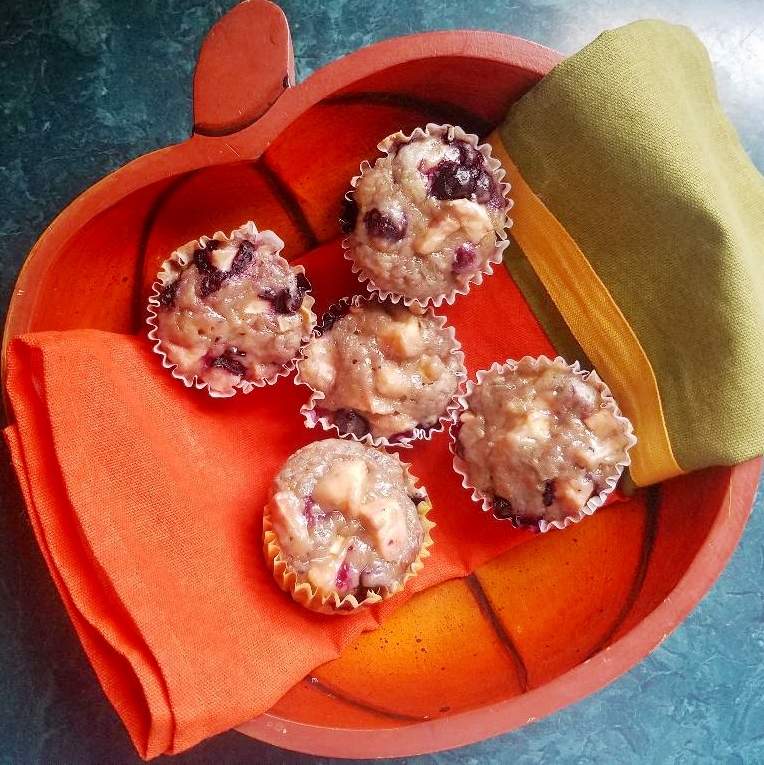 Fill muffin tins right to the top. Bake at 375 degrees for 20 minutes or until toothpick inserted in center comes out clean.